If you suffer from irreversible spine conditions, interventional pain management is an innovative way to provide effective pain relief without having to take daily medications. At New York Bone & Joint Specialists, you can meet with a specially trained interventional pain management orthopedist, so you won’t have to live another day in discomfort. Book your consultation at one of the practice’s New York City offices in the Upper East Side or Midtown West neighborhoods of Manhattan. Click the online scheduler or call your most convenient office directly. Interventional pain management is the most advanced way to help you manage chronic pain and restore your quality of life. Some of the most effective and in-demand interventional pain management treatments are described below. Epidural steroid injections involve injecting a local anesthetic and corticosteroids into the space between your spinal cord and spinal canal. This treatment instantly numbs nerves and provides powerful anti-inflammatory effects. Sacroiliac joint injections deliver a numbing local anesthetic to your hip joint in an effort to improve lower back pain. These injections also contain corticosteroid medications to soothe inflamed nerve tissue. Facet joint injections deliver powerful local anesthetic and corticosteroid medications to your affected joint along your spine. The goal is to provide enough pain relief to allow you to complete your physical therapy program. If your orthopedist finds that a specific nerve is pinched or inflamed, they can treat that nerve individually by injecting the affected nerve root with a local anesthetic and anti-inflammatory corticosteroid medications to decrease inflammation. Medial branch radiofrequency ablation involves inserting a needle into the space around an inflamed nerve branch and sending radiofrequency waves through the needle, which ultimately interrupts pain signals to your brain and stops pain sensations you feel. A lumbar sympathetic block is an anti-inflammatory corticosteroid and local anesthetic solution that’s injected into your sympathetic nerves on either side of your lower back. This is an alternative solution for managing chronic lower back discomfort. An endoscopic facet rhizotomy involves ablating your medial branch with a heated needle, which prevents the facet joint pain signals from being relayed to your brain. Which conditions can be treated with interventional pain management? If you’ve had back surgery that just didn’t improve your pain, an interventional pain management treatment is often beneficial. How long do interventional pain management treatments last? Your nerve tissues are continuously healing and regenerating. Interventional pain management solutions are long-lasting, but because new nerve tissue can develop again, you’re going to need ongoing treatments. Many injections offered at New York Bone & Joint Specialists provide superior pain-relieving benefits for months at a time. But it depends on the cause of your specific condition. Once you start noticing that your interventional pain management treatment is wearing off, you can have another injection after a certain time frame. During your consultation, your physician lets you know about how long your specific treatment should last. 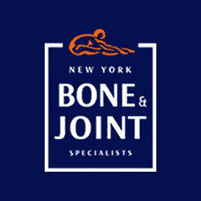 Schedule your interventional pain management evaluation at New York Bone & Joint Specialists today. Book online or over the phone with your closest office.